Hello mommies! It has been awhile since I last posted a #ParentingNerd recipe. The good news is my daughter has gained her appetite back. She has been eating a lot of fruits lately especially mangoes and bananas. I need to find creative ways in presenting various fruits so she would not get bored and actually eat the food presented to her. I thought of making a fruity shake with chewy mango bits. Being a #ParentingNerd, I turn every activity into a fun learning experience. I start by letting her identify the fruit and then its color. That way the preparation of her meal can turn into interactive way of learning how to identify various fruits and their colors. 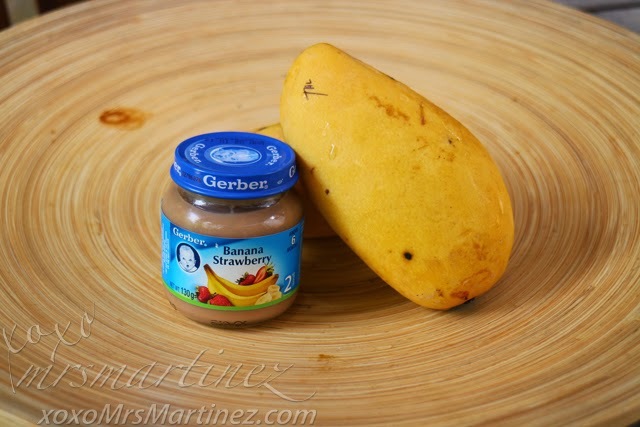 To learn more about #ParentingNerd snack tips and how to make Fruity Shake with Mango Bits, read my entire entry here. For more awesome Cerelac & Gerber #ParentingNerd tips, visit here.